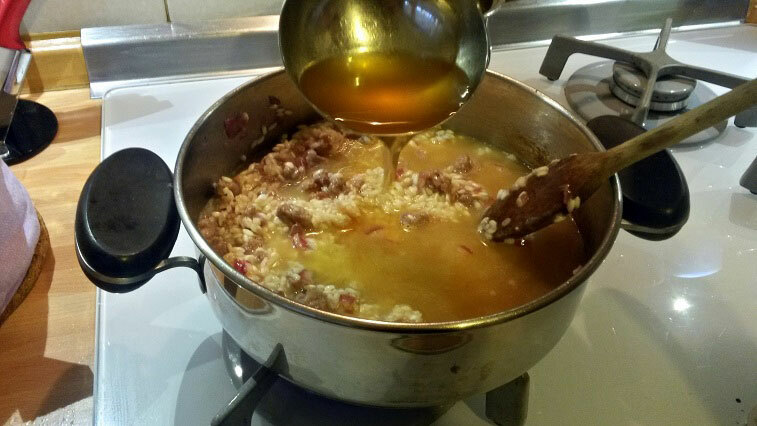 The risotto with luganega (a particular type of sausage) is a typical Lombard dish. Tradition has it that local people prepare it on the last Thursday of January. 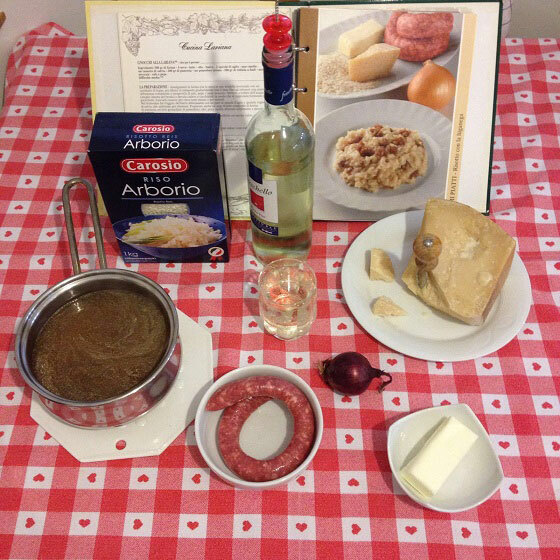 During the celebrations of Giubiera, an ancient event that aims to propitiate a good harvest in spring, no wonder that the traditional dish is the risotto with sausage, where rice and pig respectively symbolize the auspicious and the abundance. This event is still particularly felt by the people, especially in small Lombard communities, where tradition still matter. An example? The beautiful Varenna, located on the eastern shores of Lake Como, hosts every year the celebrations for the Giubiera, which represent a popular tourist attraction. But how do you prepare a good risotto with luganega? Follow these simple steps and enjoy it with your family and friends! Remove the luganega from its casing, cut it into small pieces and let it sauté (on a low flame) with chopped onion and butter. After a couple of minutes, add the rice and let it brown for about 60 seconds. Now you can gently pour the glass of white wine. Let it evaporate, then add the broth gradually (one ladleful at a time) until the cooking is complete. Towards the end of the cooking, remember to pour a generous amount of Parmesan cheese. To get an even better result, leave the risotto to rest for a few minutes, putting a lid on the saucepan. If necessary, add a pinch of salt and black pepper after cooking. I suggest you to taste the risotto with luganega along with a good white Carato, which is produced with chardonnay grapes in the province of Brescia. 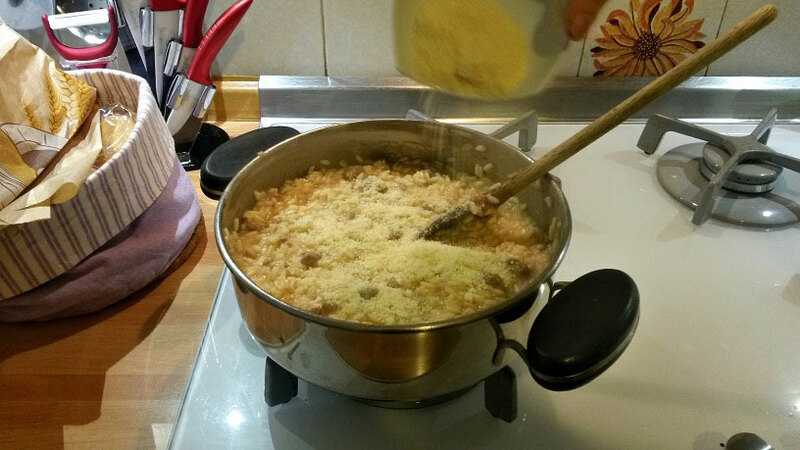 Variants: an excellent variant of risotto with luganega consists in preparing the classic risotto with saffron, with the addition (after cooking) of some pieces of sausage. 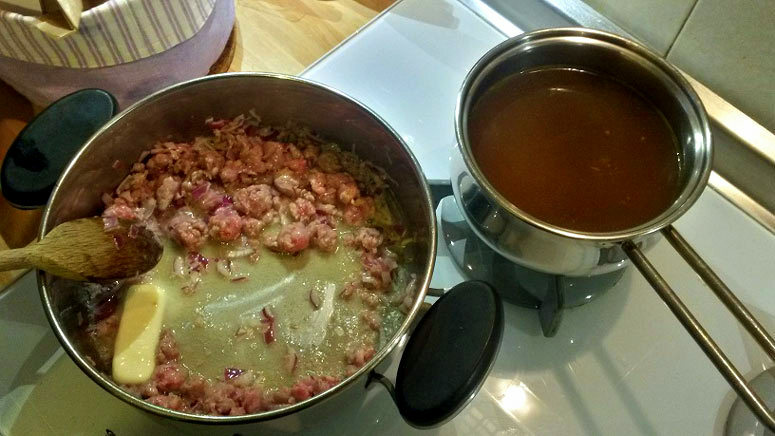 In this case, you have to cook the sausage separately, with the addition of butter, broth, and white wine.